In honor of Spring, today I am revisiting one of my favorite projects! This collaboration features some of my favorite local vendors! 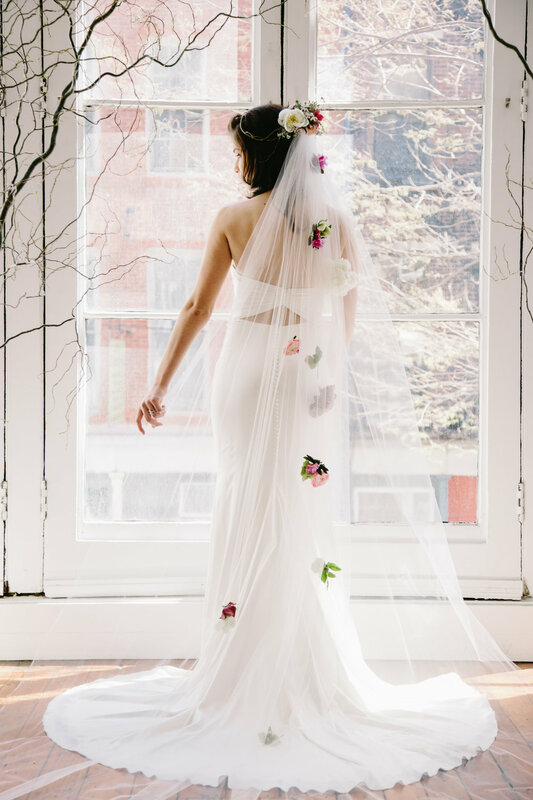 Words by Lauren Hartman of Trousseau Style: “Bridal trends have come and gone, but flowers have adorned a bride’s wedding look for centuries. In ancient Roman times, bride’s carried bunches of fresh herbs to symbolize fidelity and fertility (and to ward away evil spirits). And we all know the tradition of the bride tossing her bouquet at the end of the ceremony for good luck. But recently, it’s not just about the bouquet, flowers have become an important part of the bride’s look. 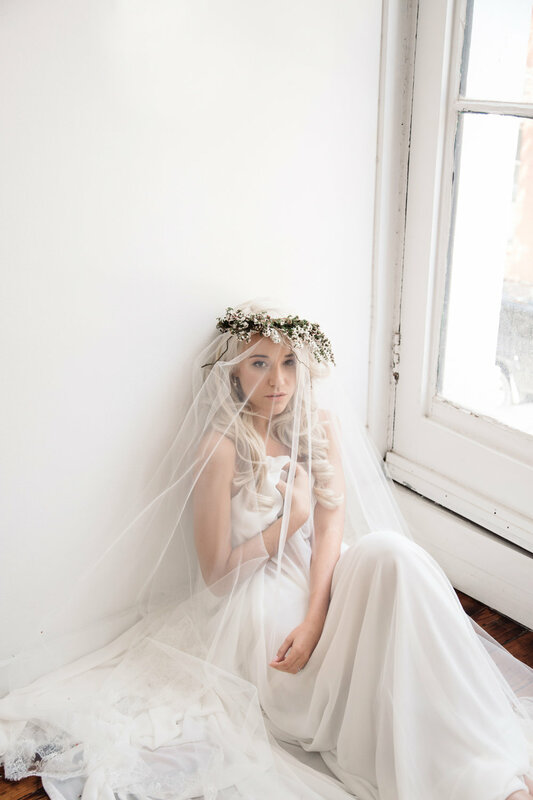 From flower crowns to floral lace, we’re talking about some of the newest bridal trends. It’s hard to resist soft petals and fragrant blooms, but there’s a new trend in town! Branches introduce an interesting element that isn’t usually found at weddings - the wild roughness of the great outdoors. When paired with soft tulle and lace in makes a fresh and undeniable combination. Use branches in your bouquet, floral ring, or hair piece for a rustic look. The Cathedral Veil has recently made a huge comeback, and for good reason! At 108 to 120 inches, it’s often longer than the dress train, making a dramatic statement when walking down the aisle. Fresh cascading flowers add even more drama and is perfect for the traditional, yet boho bride. Opt for all white flowers or petals for a more traditional look. The new flower crown has arrived! 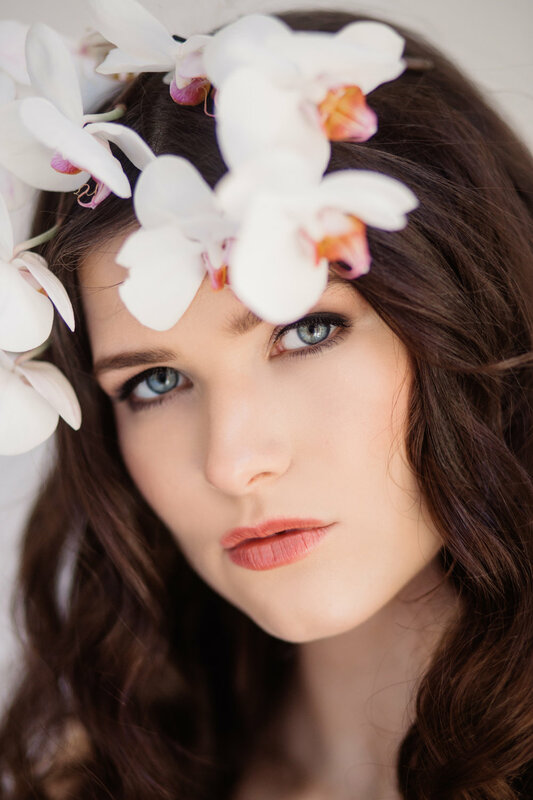 Instead of going with a traditional flower crown, brides can wear a lush blossom hair piece. The bride can choose the area to feature, be it the front, back or side of the head. It’s perfect for bride’s wanting to achieve a naturally dramatic look. Don’t be too particular about the placement, it’s meant to look and feel out-of-the-wild! Among the most traditional trends is floral lace. Lace has long been considered a bridal staple because of it’s inherently delicate nature and steep price tag. Traditionally, the trimmings of bridal lace was handed down through generations to brides in the family. More recently, this tradition has become popular as bride’s use their lace from a family member’s veil and or dress. Don’t have any heirloom lace? No problem! Start a tradition of your own!